My first post in a while,, and may have a few pictures. 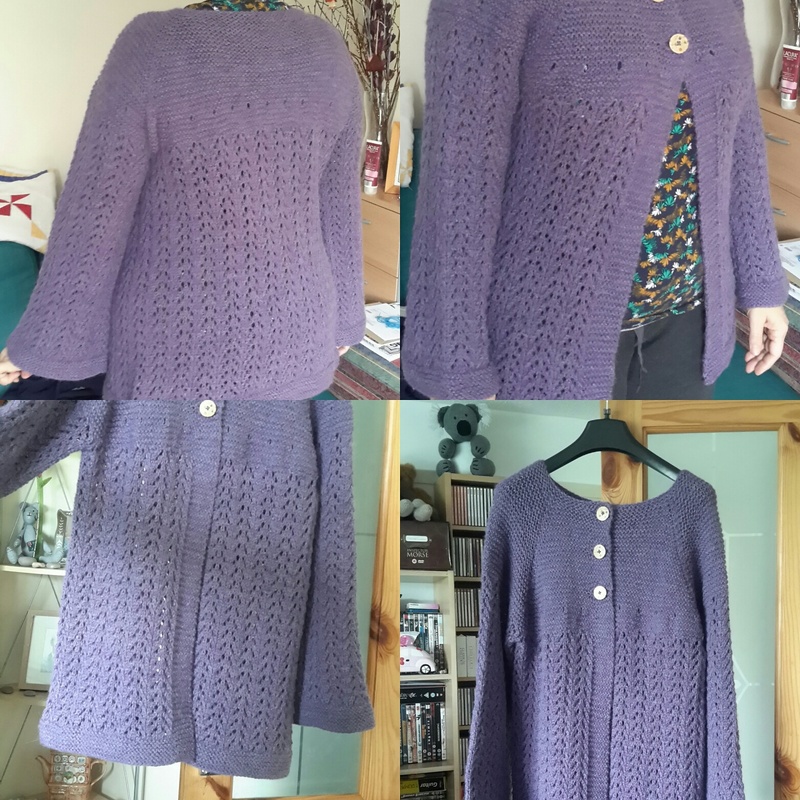 I finished my February Lady Sweater/cardigan,, love it! 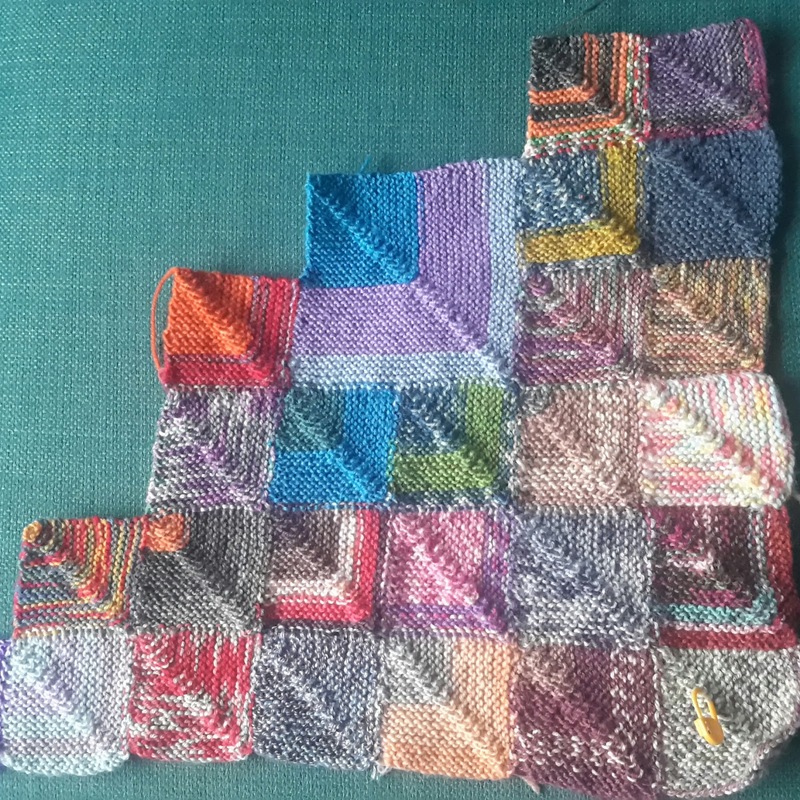 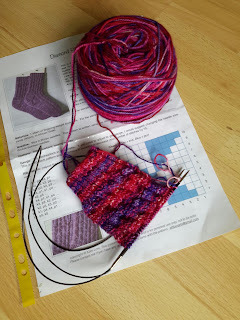 I joined in a knitalong on Ravelry for toe-up socks. 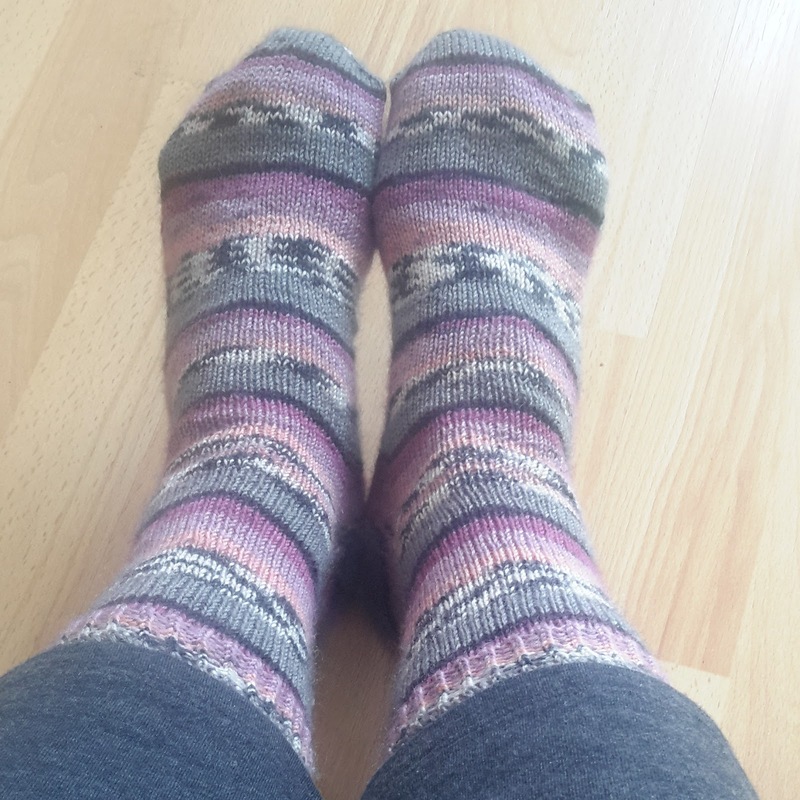 My first pair of toe -ups,, and they came out ok. I surprised myself with them! 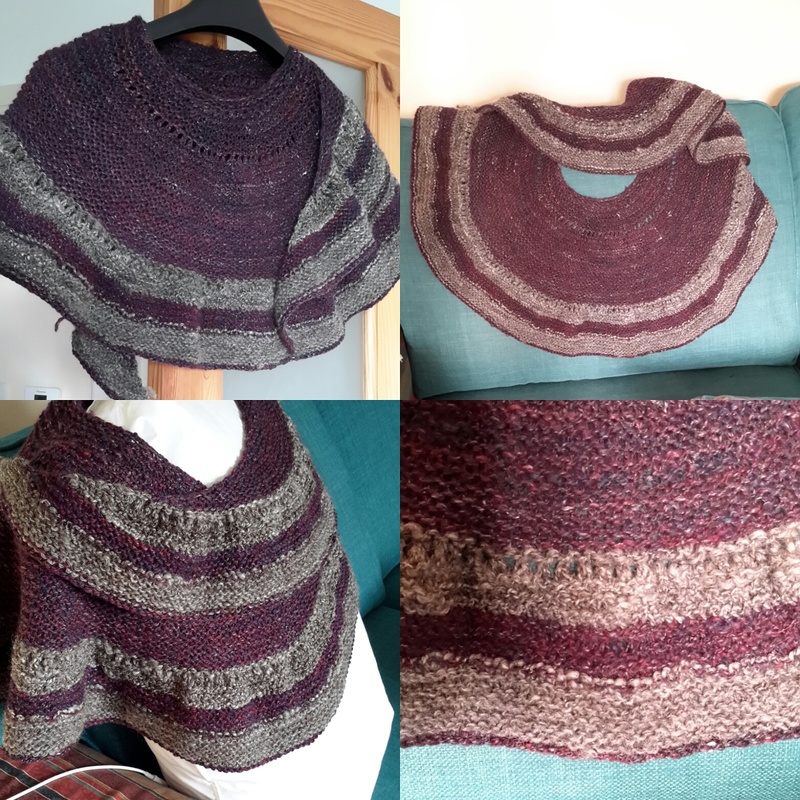 And then there is my Lovely Ruffly shawl,, using handspun yarn. The grey is my own handspun and the other colour was gifted to me. 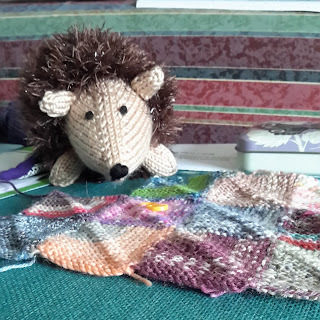 I had to knit Hugo The Hedgehog,, when I saw him on the front of a magazine,,, and have started yet another pair of socks! 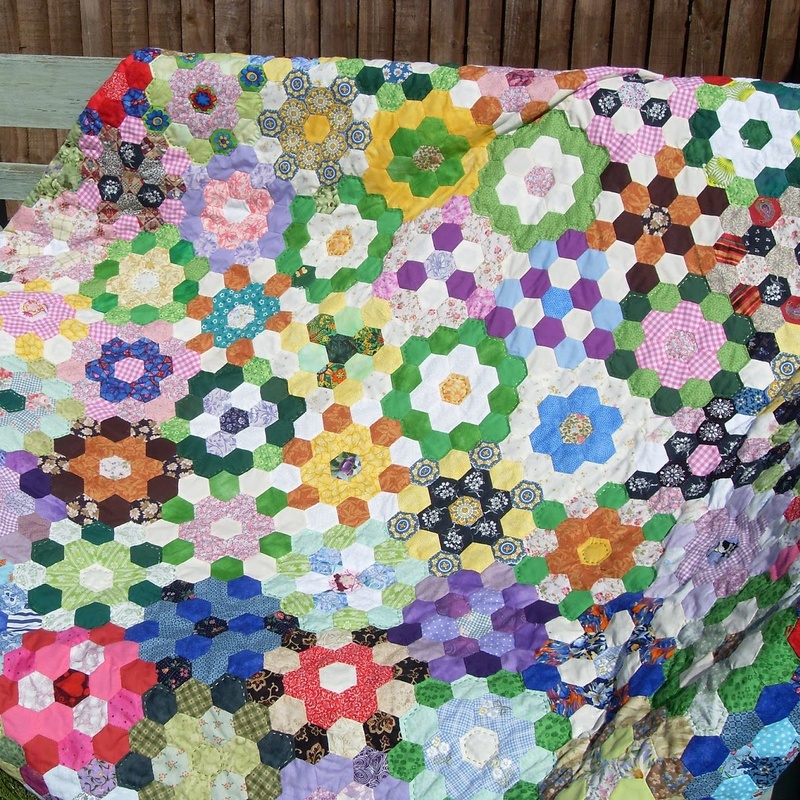 I forgot to get a picture or two of my 'award winning' quilt,,, but earlier this month we had the village Produce, Art and Craft show,,,,, and my handmade, handsewn quilt won 'Best in Section' and 'Best in Show'! I have trophies to prove it! 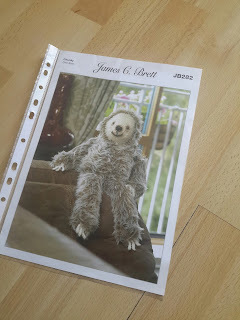 Laid Back Larry is a Three Toed Sloth,, my son is a bit of a Sloth,,,,, his words.